Up there as one of the most widely used forms of tech that transcends the stage and screen, a lavalier microphone or lapel mic is an essential piece of sound kit. Below, we explore the different types popular brands and look at which are the best lavalier microphones currently on the market. 1 What is a Lavalier Microphone? 3 Should I get a wired or wireless lavalier microphone? 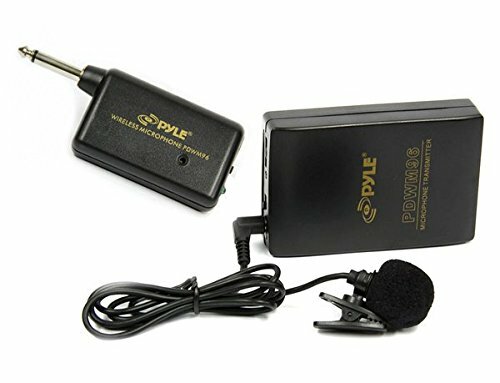 Possibly one of the most distinct types of digital microphone thanks to its size, a lavalier microphone is a small, discrete lav mic often used for voice recording, stage presentations and speeches, television broadcasts, and even film. You’ll know them as the clip-on mics (also known as lapel microphones) worn by television presenters; however and they come in numerous forms and styles for different purposes. They are highly portable and use batteries for power. What is so great about a lavalier microphone? The real question is, what isn’t so great! They are an incredible piece of tech that takes sound recording and projection to the next level. Yes, some styles will pickup noise, but if you have a one that’s fit for purpose and mounted correctly, you shouldn’t encounter too many issues. Aside from their discrete size, which is necklace-like and often clipped to the collar or instrument, lavalier mics allow for hands-free sound projection via speakers, plus recording. If you need a microphone that is subtle and convenient they are the perfect solution. With a cable up to two metres long, a wired lavalier microphone is a useful but very much connected microphone best suited to situations where little to no movement is required. For instance, if you’re using it in a panel discussion where all participants are seated and will, at no point, need to get up and walk around the stage, a wired lavalier works amazingly well. Most importantly they are your standard, affordable microphones and, brand dependent, won’t make too much of a dent in your pockets. If recording, you will need to sync the audio with the video. 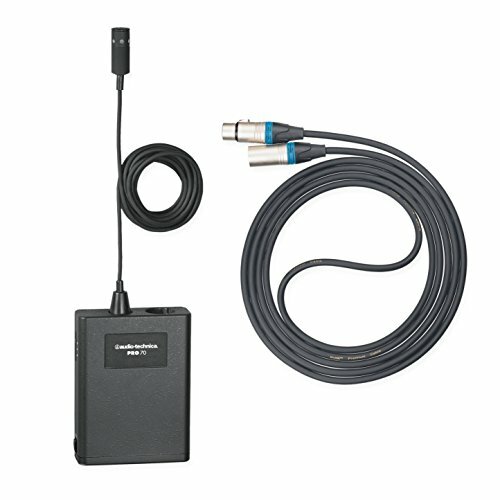 If you need to move around during your performance, such as when presenting a TV show or giving a presentation where you’d like to be able to move around the stage for better audience interaction, you need a wireless lavalier microphone. These have a radio transmitter that clips to the back of the waistband, as well as a receiver that you can connect to a video camera. However, as with any wireless technology, it’s not without its glitches. 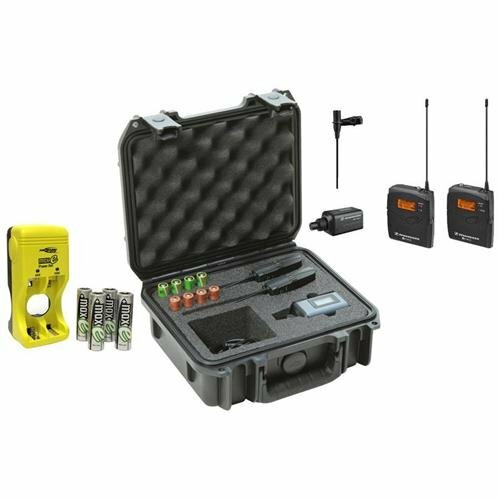 As well as, for the best sound quality, costing considerably more than wired lavaliers, the mic’s radio signal can be easily interrupted by power lines and other devices, which is why you need one with a powerful, adaptable frequency. One of the latest additions to the market is the lavalier microphone for smartphones, including apps that allow for sound recording. If you need high-quality sound for video, for instance, they are particularly excellent – although, you will need to sync the sound over the video afterwards using a video editor. They are also highly adaptable as, despite their specialised use, they can be connected to cameras and sound recorders using adaptors and the 3.5mm headphone jack of your device to plug it in. Whichever lavalier you choose, try and purchase the best you can afford for top-notch sound quality. Should I get a wired or wireless lavalier microphone? That’s a question we hear too often. If you have the budget, a wireless lavalier microphone is always going to be more practical as it allows you to more freedom to move. Although, there’s not much point in buying a wireless lavalier microphone unless you really need one. Think about what you’re using a lavalier microphone for before you make your decision. If you’re presenting on stage with little movement, realistically, you won’t need a wireless lavalier mic. However, if you’re recording music or a film, a wireless microphone system may be an excellent idea. To find out more about the differences between a wired and wireless lavalier, see ZY Productions. Founded in the early ’60s, Audio-Technica is an award-winning sound technology brand with a variety of every day and professional products, including headphones, wireless camera and instrument mounts and, of course, a variety of microphone products, including lavalier microphones. Audio-Technica’s microphones are renowned for their use at some of the world’s biggest sporting events, such as the World Cup, Super Bowl, and the Olympics. In terms of their brand aesthetic, Audio-Technica’s products and, particularly, its microphones float between classic and contemporary. Now a household name, Sennheiser is a German company best known for its excellent-quality headphones – especially those of the over-the-ear variety – however, it also makes an array of top-quality microphones. Sennheiser is a trailblazer in wireless technology – it even won an Emmy Award for its innovations. Better still, Sennheiser is a company with music very much at its heart; the likes of the Black Keys, Jay-Z, Beyonce and hundreds of other world-renowned musicians all use its products. The only microphone specialist on our list, RØDE Microphones is an Australian audio company that, in the 2000s, became a leader in microphone technology. Its microphones, both wired and wireless, are considered some of the best in the world. RØDE has also become a frontrunner in the on-camera mic market; in 2008, the RØDE VideoMic became a best-seller. RØDE’s mics produce film-quality sound. When you’re buying a lavalier mic, you want to make sure you’re getting the best your budget can buy. However, it also needs to be well-suited to your requirements to ensure minimal limitation. Below, explore some of our favourite lavalier mics for 2019, including a variety of low-cost and pro lavaliers. An upgrade from the RØDE SmartLav which had a few noise issues, the SmartLav+ condenser microphone is a considerable improvement and features an omnidirectional condenser capsule. Having a 360 degree circular polar patter means the sound quality is excellent and the setup straightforward (you can clip it to the windshield). It is also compatible with iOS devices, which makes the SmartLav+ a versatile lavalier mic. When using the SmartLav+, you’ll notice the detail of the sound picked up; it’s much better than before. You can also connect to the headphone jack of an iPhone, smartphone or tablet. This really is a top-level audio recorder and the only drawback is that when working at a high frequency, there is still some noise present. If you have a hefty budget, the Sennheiser EW 100 ENG G3-A offers professional-quality and, more importantly, wireless and, therefore, adaptable sound recording. For excellent sound quality, this is omnidirectional and has 1,680 tunable UHF frequencies to ensure you avoid interference. Also, it has a frequency range of 20-30kHz and condenser capsule. 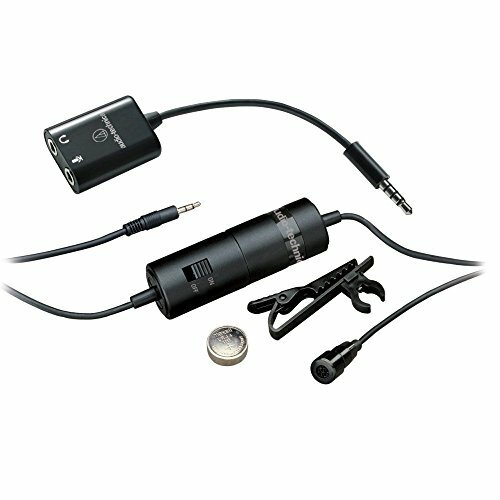 The Sennheiser EW 100 ENG G3-A is one of the most professional and best designed lavalier mics currently on the market. Better still, it’s easy-to-understand interface makes it accessible to broadcasting beginners, too. If you’re looking for the best lavalier mic for the smallest cost, the Audio-Technica ATR-3350 gets our thumbs up. 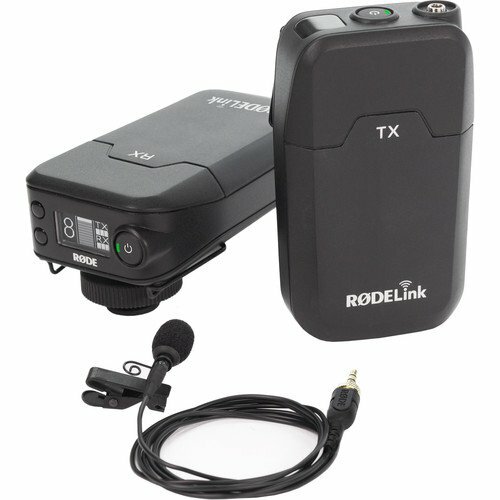 It is one of the most popular budget mics currently on the market. Despite being wired and, therefore, less flexible than a wireless mic, it includes 20ft of cable for limited movement. Unlike many of its budget counterparts, this features an omnidirectional mic, which helps to ensure sound consistency and, ultimately, quality. While this delivers good sound quality, the mic sensitivity is low which means you must boost the signal to prevent your sound from being too quiet. Another affordable favourite but this time wireless, the PylePro PDWM96 redefines the price point well below the norm. Even though you need an adapter, it is possible to record using a separate device. You can also connect the PylePro PDWM96 to an iOS device using an adapter. Despite its many pros, a costlier wireless lavalier would be a better investment. The sound quality and transmitter on this are somewhat questionable, but it works as a very basic wireless mic. If you want professional film-quality microphone, the RØDELink Filmmaker Kit is superb and offers plenty of bang for your buck. The sound quality is exceptional, and background noise is minimal. Better still, this is wireless which provides ultimate flexibility, plus it’s competitively priced. For the best sound quality, it’s recommended you stay within 70 metres of the mic; otherwise, you may experience signalling problems. The RØDELink Filmmaker Kit is very easy to use and lightweight. The only questionable characteristic is the durability of the cables – you may need to replace them. Especially good for recording guitar music, the Audio-Technica PRO 70 records professional-quality sound with ease thanks to its nifty instrument mount. Better still, it’s affordable and looks and feels sturdy. One of the only downsides to the Audio-Technica PRO 70 is its 120-degree design, rather than it being omnidirectional. To prevent noise, be sure to point it towards your instrument or mouth. Recent developments in tech mean that there’s now a variety of devices that are compatible with smartphones available, which not only capture professional recordings but are also easy to use with compatible apps. 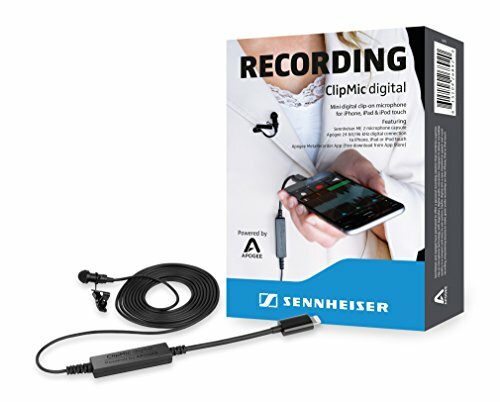 Thanks to its omnidirectional mic, the Sennheiser ClipMic produces excellent sound on-the-go. Like everything Sennheiser does, the design of this is clean-cut and contemporary, but still subtle with a 6.5mm capsule. 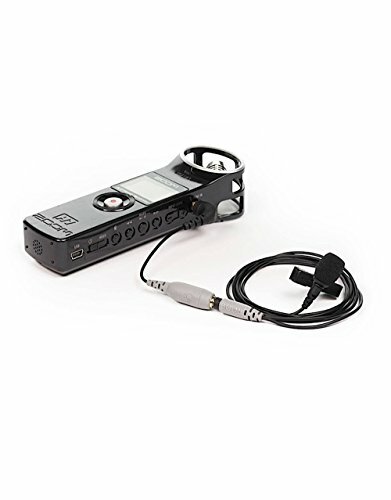 It may not be wireless (it comes with a 1.6m cable), which means syncing up audio, but it is, without a doubt, a fantastic solution for professional on-the-go sound recording. The key to getting the most out of a lavalier mic, regardless of its cost, is to perfectly place the mic before use, which means it’ll be in the optimum position to pick-up excellent-quality sound. When recording speech, you should place it between 6-8 inches from the subjects’ mouth; somewhere on the collar or chest should work well. Once you’ve placed the mic, you need to check that you’re getting the sound you want – always test your audio by having the subject speak normally while you listen to the audio pattern using headphones. If the volume sounds correct and you’re not getting any noise, that’s perfect. If you can hear the subjects’ clothing rubbing against the mic, reposition it. If you need to hide your microphone, it’s a whole different ballgame. RØDE has an excellent tutorial. Alternatively, if you’d prefer to follow a step-by-step video for how to mount a lavalier, click here. If you are looking for the smallest and most discreet option you may want to consider the Sony ECM77B Electret Condenser Lavalier Microphone which is apparently the smallest in the world. Lavalier mics are a fantastic piece of tech for flexible, on-the-go voice and sound recording. If you need room for movement in your production, always choose a wireless mic; if your subject is sitting down in the same place for a long time, you can get away with a much more affordable wired lavalier. Typically, omnidirectional mics are preferred. Always check the frequency range for the best quality audio. If you are all set and ready to buy that’s great but if you need more information before making your decision, we recommend heading over to Amazon and reading the product descriptions for the products, the specs and more importantly read the reviews to see what people who have bought them in the past thought about the products. Although not a hugely expensive piece of kit it is important to do some research first before making your purchase. Good luck!